Jack Ma, founder of the sprawling e-commerce empire Alibaba that is on track to hold the largest-ever IPO, delivered the commencement speech earlier this week at Tsinghua University in Beijing. Ma is a beloved figure in China for his fascinating blend of business acumen and down-to-earth philosophy. At Tsinghua (one of China's top three universities), Ma peppered his speech with anecdotes that raised eyebrows in the audience and among investors: He claimed that he has never bought anything on Taobao, his shopping site that has come to define Chinese e-commerce, and that he has never used Alipay, the company's third-party payment system that many see as central to its future growth. "To this day I've still never bought anything on Taobao and I've never once used Alipay because I don't know how to use it," he said. "But I've always got my ears perked up, listening so I can learn what others think about Alipay." Ma couched the claim as a way to maintain objectivity, a means of keeping his distance from products so he can evaluate them without emotion. "If I were a frequent user of my products, I would always be out to defend them," he said. "But as someone who doesn't use them I always remain worried about them. That keeps me up at night, and only when I'm up worrying at night can the rest of the company truly enjoy a good night's sleep." However, as the Financial Times reports, Ma said in a 2010 speech that he and six co-founders of Taobao made some of the first-ever purchases on the site in order to help create the sense of an active marketplace. "Of course, there were no buyers so we each bought our own [things]," Ma said at the time. "Later, when there were actual people putting up actual items for sale, we would scramble to buy them." Some of Alibaba's most innovative forays have been into the world of micro-finance and online banking. In 2011 it began offering micro-loans to online vendors who are shut out of a banking system geared toward large state-owned enterprises. More recently, Alipay has faced backlash from the state, with four of its banks putting monthly limits on the amount of money people can spend on their smartphones through the service. In his speech, Ma alluded to the conflict and said he is willing to pay the price for shaking up Chinese finance. "All the way back in 2004 when we decided to create Alipay and later Alifinance [Alibaba's micro-finance arm], I already knew there would come a day when we'd have these kinds of troubles," he said. "At the time I was torn about it. But when I attended the Davos forum I had a chance to listen to all these politicians and entrepreneurs debate what 'service' means. Several people said that if you have something that you truly believe is good and can help push society forward, then you just have to bravely go out and serve that cause." Ma emphasized that optimism, grit and luck would all be crucial if one of Tsinghua's graduates hopes to create the next Alibaba. "I'm a person who has made countless mistakes. Over the past 15 years Alibaba has run up against over 100 problems that could have destroyed the whole company, but each time we got over them," he said. "So how did we do it? We persisted in our optimism, knowing that in this world if you don't see something through, someone else will. 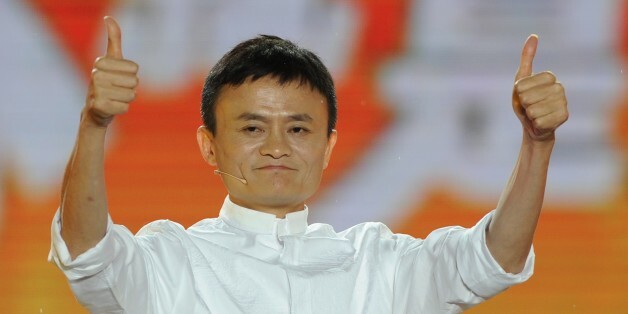 I believed that Alibaba and Taobao would make it through." "Afterwards," he continued, "I created a motto for myself, for other young people and for my co-workers: 'Today is brutal, tomorrow is cruel, and the day after tomorrow is beautiful. But most people will die tomorrow night.'"